MikeMIkeMikeMikeMike! Guess what day it is? Sorry. Gets me every time. 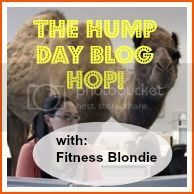 Head on over to Fitness Blondie for a fun little Wednesday Blog Hop!